If you run a business, energy costs are likely a significant portion of your overhead, even if you’re only keeping the lights on and heat pumping in a small shop and not using fuel to power heavy machinery. 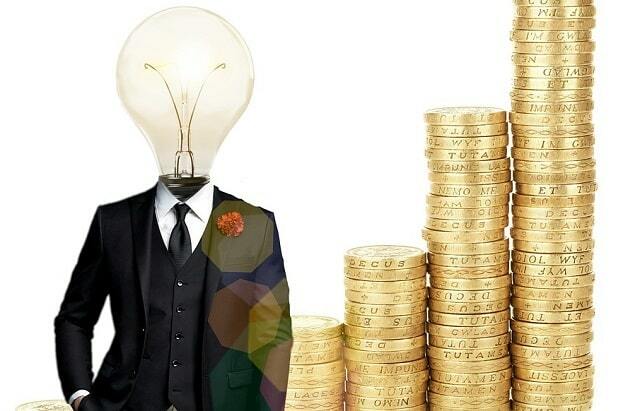 Small businesses spend an average of £5,100 on electricity and £4,100 on gas each year. And one-fifth of businesses spend more than £250,00 each year on energy, for lighting, for heating, for ventilation, for air-conditioning, and for manufacturing. The Climate Change Levy (CCL) on energy use by businesses means that you’re paying a dearer rate for those supplies than domestic customers. But it also means that any energy savings you make will be magnified on your bottom line. Enter into a Climate Change Agreement with the Environment Agency, committing to, among other things, reduce your energy consumption and you could see a reduction of the CCL of up to 90% for electricity and 65% for gas. Furthermore, increasing your business’ energy efficiency and reducing your consumption can future proof it against any further increases in energy costs or carbon taxes. While some energy-saving measures require time and monetary investment, a few need just habit and diligence, and you can start making those changes today. And as ever, you should consider switching to a new gas or electricity supplier. The savings in sterling you can make by comparing energy deals can compliment any savings you make in kilowatt hours by being more conscious with light switches and kettles. You might be conscious of turning off lights in unoccupied rooms at home, but you should be as vigilant in the workplace too. Motion sensors can override human forgetfulness and ensure you’re not burning kilowatts heating empty warehouses and conference rooms. We know that office temperature is a tricky political issue. Workplace morale and relationships can break down over disputes near the thermostat. But turning the temperature down just 1 degree Celsius on your premises can spell major savings on your energy bills and few people will be able to tell the difference. Encourage employees to don jumpers and just accept that no matter what you do, there will always be that one employee who’s too hot—or too cold or sometimes both in the same afternoon. You might think little of leaving your work computer on overnight—it ensures that spreadsheet will still be open in the morning— but you should be aware that a standard desktop burns through 0.1 kWh electricity while snoozing, costing about 1.4p. Leave it on from quitting time at 5pm until you return bleary-eyed to your desk at 8am the next morning and you could be looking at daily costs of 21p. That might not sound like a lot but if you’re doing it every day and it could add up to more than £50 a year, and that’s assuming you’re shutting things down over the weekend and holidays. And if everyone in your cubicle row is doing the same, it could be very costly for your business. Remember to shut down your desktop when giving up work for the day. Screensavers, which can burn even more energy than idling computers, won’t do the trick. Aging computers, fossilized copiers, and old, hungry break room refrigerators could be consuming much more electricity than newer, svelter models. Invest in upgrades and you’ll see the return on your energy bills. You may think it’s common courtesy to boil a full kettle of water when making tea—who knows who else wants some—but if you’re only making a cuppa for yourself, boiling only half a kettle or less is much more energy efficient. Boiling a full kettle uses 0.225 kWh of electricity, or £0.037, while boiling a half kettle consumes 0.113 kWh, costing £0.018, a savings of nearly 2p. Those savings may not seem significant but if you make yourself two cups of tea every working day, you could be wasting nearly £10 of electricity a year by filling up the kettle to the line. Multiply that by your coworkers, especially the tea-crazed procrastinators who are always lurking around the kitchen, and full kettles could be costing your company hundreds of pounds of electricity each year. The smart meter rollout will offer free next-generation, digital gas and electricity meters to every home and small business in the UK before the end of 2020. These meters will give you greater insight until how much energy you’re using, in kWh and pounds and pence, and help you identify places to make savings. You can’t turn off all the lights and computers yourself, so incentivize your staff to get involved. Create a culture of energy consciousness and even competition among departments and branches and reward energy-saving behavior with bonuses and gifts. Maybe company fleeces so everyone can cope with the lower office temperature. Energy expenditure can take a chunk out of your company's bottom line. By saving energy, your business will be more profitable and sustainable than ever before. I hope you enjoyed this blog post about the top energy saving tips for your business, office and job site. Interested in more articles about saving energy and cutting costs?